A small sized jute gift bag with cotton drawstrings. 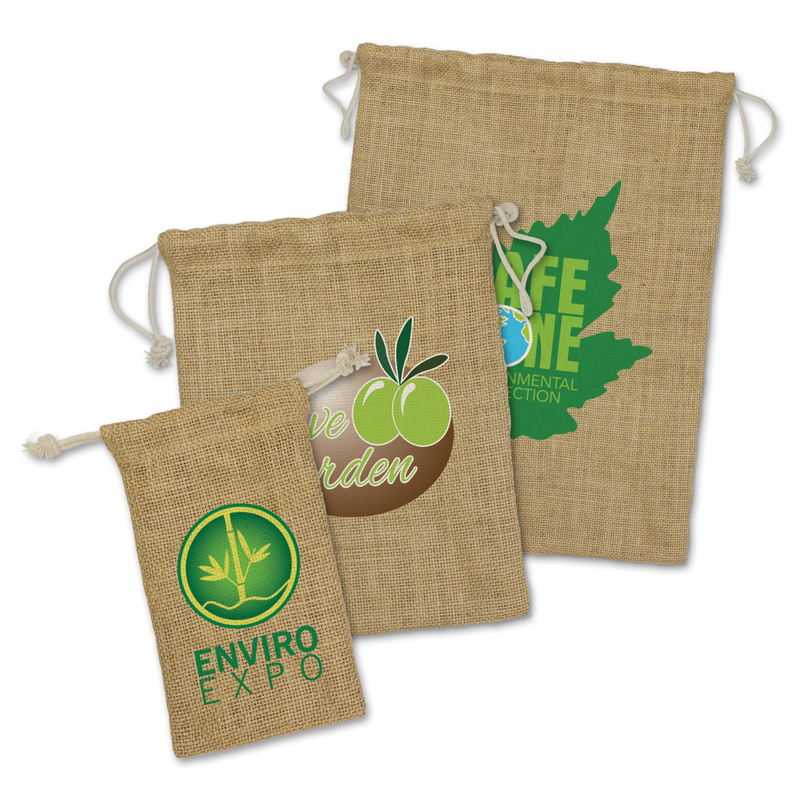 Give your gift using these environmentally friendly bags to show how much you care both for the gift receiver and the environment. 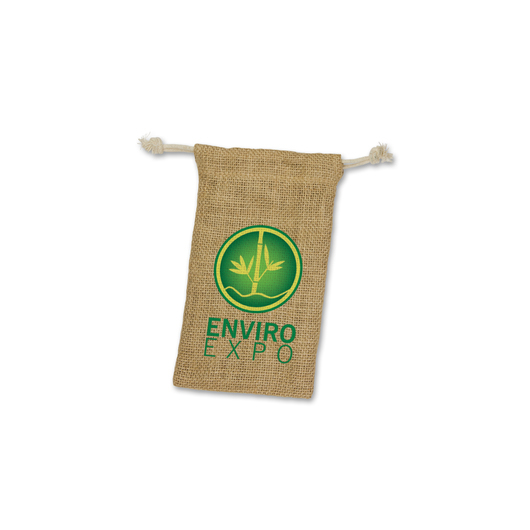 They're made from environmentally friendly jute, have cotton drawstrings and are branded with your printed logo.